This unique workshop allows you to speak your audience's langauge, and gives you the tools to teach professionals simple and effective techniques to easily integrate Signing Smart into a group setting with multiple caretakers. Includes multiple additional documents and support resources. 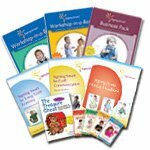 Developed for teachers of talking preschoolers ages 3-5, this workshop gives instructors the means to teach educators many simple but powerful Signing Smart Learning and Concept Development strategies to use in their classrooms. Moving beyond "singing and signing," this is a one-of-a kind program! 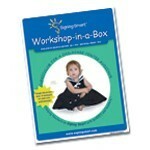 Expand your Signing Smart workshop offerings to reach families of children 18mo - 5 yrs. 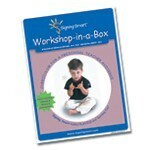 Developed for those familiar with Signing Smart as well as the novice signer. Focuses on Signing Smart techniques for enhancing spoken language and memory, and facilitating cognitive and emotional development. Collection of single-session classes to extend your Signing Smart play class or workshop programs and to earn you extra income or "get the word out" about your on-going offerings. 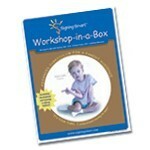 Play Class only, Workshop only, or Dual versions available. Give families the opportunity to experience Signing Smart in a whole new way! This three or four-week play class series can be done in partnership with your local zoo or nature center to extend your play class presence and reach a larger clientele. 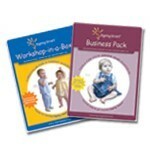 This is a great way to earn extra income and help "get the word out!"